Although I have today off (I’m giving a talk about my favourite subject, artificial refrigeration, at The Berlage in Delft), for the past couple of weeks I’ve been happily posting more booze-related stories over at Gizmodo each Friday at 5pm. IMAGE: Six almost-identical prototype glasses being tested during the final round in the design process. 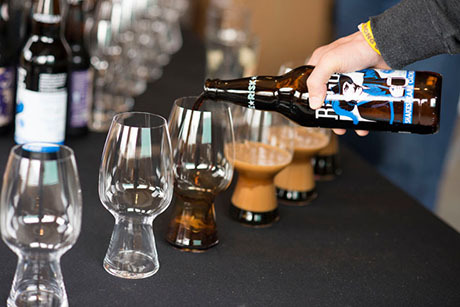 Last week’s alcoholic adventure was a look at the the world’s first stout-specific beer glass, developed as a collaboration between Left Hand Brewing, of Longmont, Colorado, Rogue Ales of Newport, Oregon, and Spiegelau, a 500-year-old German glass company that became part of the Riedel empire in 2004. 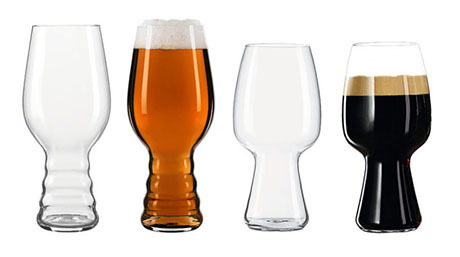 IMAGE: Spiegelau’s IPA-specific glass (left) and stout-specific glass (right). Wallace’s vote went for a glass optimized for the flavour and mouthfeel of sour beers, while Rutkowski suggested that the complexity of barrel-aged beers merits a better vessel—which may or may not be a hint as to what to expect from Spiegelau in the coming year. You can read the story, including my review of the glass’s performance, here. Meanwhile, the week before, I wrote about a new line of cocktail bitters designed by three New York-based ethnobotanists as a teaching tool: a way to a way to represent the plants of a particular place, and also to tell a story about the traditional culture and plant knowledge of that place. IMAGE: Shoots and Roots bitters. 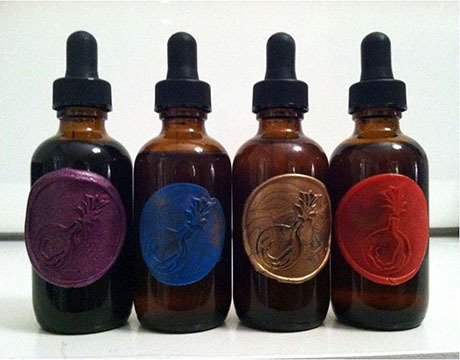 From roots used by black bears to calm stomach upsets to the spectacular clitoria flower, the ingredients in each Shoots and Roots bitters blend are all listed (most bitters makers keep their recipes a closely-guarded secret) and accompanied by detailed descriptions of the plants’ habitats and human uses. The result is a refreshing way to transform your cocktail into a natural history lesson. Check out the full post here.